There is a part of me that, when my emotions are low, I try to find a way to combat the lowness. And although I haven’t done it as much of late … it’s time to break out the camera and take a walk. 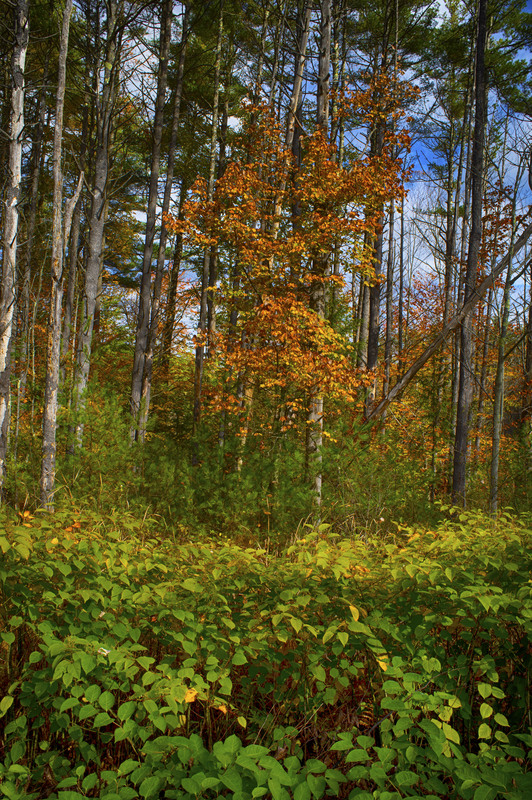 And for me, the walk yesterday was in the Adirondacks. Just a normal walk, up into the Corinth Reservoir area off County Route 10. Autumn 2018. Nikon Df camera, Nikkor 28mm f/2.8 lens. Photo (c) Chuck Miller, all rights reserved. Nothing major … just a small photo walk. Heck, at one point I was even photographing the telephone poles. This one still has its old metal numbers nailed into it, numbers that hearken back to the old Niagara Mohawk days. 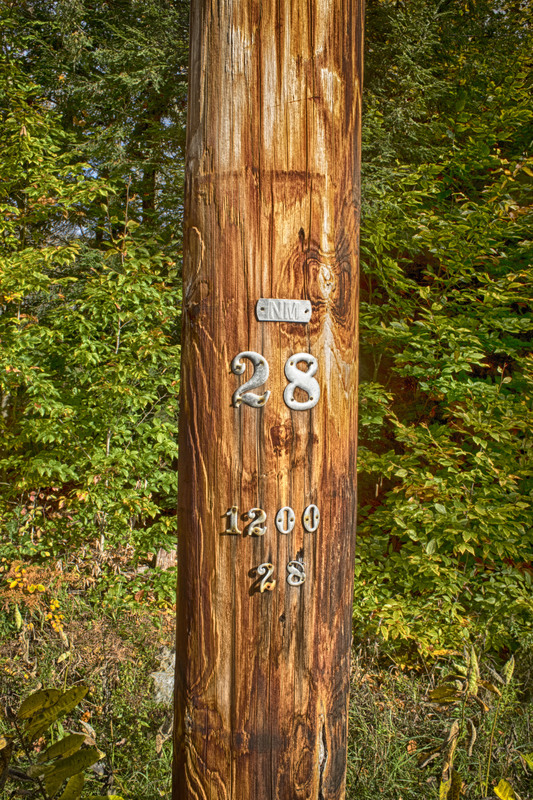 Pole 28. Nikon Df camera, Nikkor 28mm f/2.8 lens. Photo (c) Chuck Miller, all rights reserved. 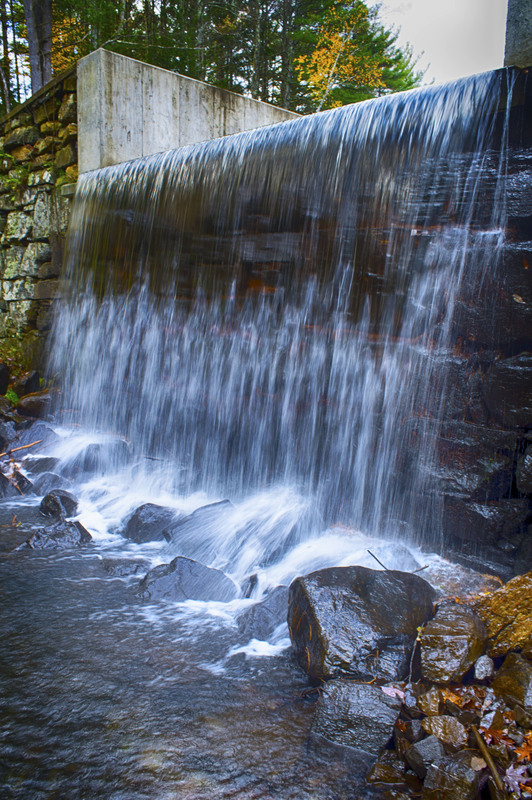 A bit further down County Route 10, I found a small runoff waterfall near one of the reservoir spillways. The base of the waterfall could be accessed down the side of a culvert. I walked as far as I dared – just because there were leaves on the ground didn’t mean that the ground below the leaves could support the weight of an adult male, so I stepped carefully. And I got this shot. Waterfall 2018. Nikon Df camera, Nikkor 28mm f/2.8 lens. Photo (c) Chuck Miller, all rights reserved. Yes, the photo’s nice. No, it’s not nice enough to enter into any competitions. Yes, it was a good morning. No, I didn’t feel like it was a good morning. By the way, did you know there’s another name for a waterfall – one that’s much bigger than this one? Big waterfalls are called cataracts. You don’t often hear of waterfalls being described as cataracts. I haven’t thought about waterfalls as cataracts. But in a few weeks, I’ll have an appointment to determine what kinds of waterfalls are blocking my vision of late. They’ve been creeping up on me … a little at a time. And now I’m worried about what may happen. Heck, it’s often hard to type these blog posts and not catch an errant typo or three that I didn’t previously notice. And I’ve skipped going to Wednesday night trivia games – not because I don’t want to play trivia, but because I’m worried about driving at night. Others have noticed my concerns as well. I have to respect that. No matter what, though … whatever it takes … I’ll get back to a much better place. I hope that in the future, I won’t think of cataracts as anything other than a fancy name for a large waterfall. Maybe singer Cris Williamson was right… sometimes it really DOES take a rainy day to just to let you know everything’s going to be all right. Good luck with your waterfalls, er, cataracts. What Dave said. Also, cataract surgery is quick and easy and you’ll see better than ever afterward. BTDT. Good luck!